Brazilian percussion mastermind Airto Moreira has made a mark on improvised music from jazz and Brazilian to fusion and beyond. His arrival on the New York City jazz scene in the late 60s resulted in DownBeat Magazine adding a Percussion Poll to their annual Readers and Critics Polls. Aside from work with Miles Davis during the trumpeter’s influential electric period, Airto was a member of Joe Zawinul’s Weather Report and Chick Corea’s Return to Forever project. His current group, Eyedentity, features his daughter DIANA PURIM on vocals, performing his unique blend of Afro-Brazilian, Samba, funk and jazz. 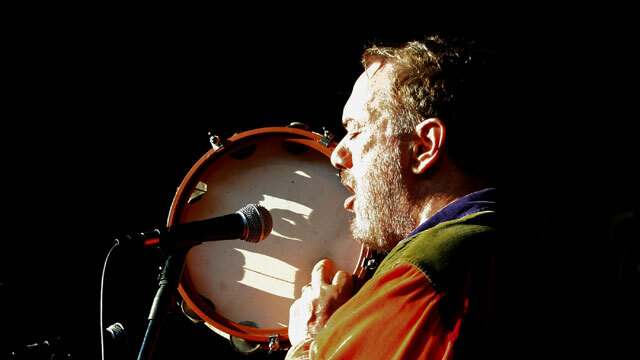 In the past few years Airto was voted number one percussionist by Jazz Times, Modern Drummer, Drum Magazine, Jazzizz Magazine, Jazz Central Station's Global Jazz Poll on the Internet, as well as in many European, Latin American and Asian publications. Airto's latest album, "Life After That" was released on Narada Records on September 30th, 2003. In 2006 Airto was featured on in one of the 5 CD box-set release by Chick Corea, entitled '5 Trios'. Along with Chick Corea and Eddie Gomez, they recorded the 'The Boston Three Party' at the Berklee Performance center, in Boston MA.